Thanks due to Martin Shkreli! Martin Shkreli, the maligned former CEO of Turing Pharmaceuticals, was called before a Congressional committee this week to discuss his decision to increase the price of the drug Daraprim. Daraprim treats toxoplasmosis that can be fatal to HIV patients. 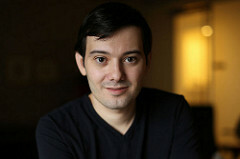 Shkreli’s action raised its cost overnight from $13.50 to $750.00 per pill. The 5000% increase incensed the country. But the increase was completely legal. Although Shkreli has become the poster boy for pharmaceutical company greed, we should applaud him for calling attention to a significant driver of health care costs: the steady cost increases in generic drugs. AARP reports that 80% of all pharmaceuticals now sold are generic, which are supposed to sell at a fraction of the cost of brand name drugs. The system for controlling drug costs is threatened when the cost of generic drugs rises faster than inflation. Lack of competition. Drug companies constantly cull their product line and drop drugs that are less profitable than others. When there are few manufacturers left, those remaining can increase prices and the others may follow suit. (Turing was the only company manufacturing the Daraprim.) Economists have opined that a generic must be manufactured by at least four manufacturers to insure that pricing will remain competitive. Market consolidation. Mergers and acquisitions have left fewer manufacturers in the industry. In 1975, there were 200 drug wholesalers. Today, 3 companies distribute 90% of all drugs on the market. Shortages of Raw Materials. Shortages of raw materials, either due to depletion of natural substances or disruptions due to disasters or unacceptable quality from foreign suppliers explain some increases. Bottleneck at FDA. Average approval time for generic drug manufacturing has increased from 16 months in 2005 to 27 months in 2010. The FDA has 4,300 pending applications for generic drugs currently. Only 1% of generic applications are approved on the first try, suggesting deeper issues with the FDA process. How Do These Trends Impact Drugs for Alzheimer’s? Two drugs approved to treat the symptoms of Alzheimer’s disease are have generic counterparts: Aricept (donepezil) and Namenda (memantine). There are five manufacturers of donepezil, and eight manufacturers of memantine. Donepezil and memantine (10 mg.) each sell for as little as $14.65 for a 60 day supply. In contrast, the brand name versions at the same pharmacies sell for as much as $1108.17 for the same supply. Therefore, there currently seems to be sufficient competition among generic manufacturers for Alzheimer drugs to protect consumers from price gouging. Over time, this picture may change unless the government and industry agree to new methods to control cost increases. Martin Shkreli’s unabashed effort to increase his profits called this issue to our attention. But it is worth noting that despite the outspoken condemnation, Turing has not lowered the cost of Daraprim. Previous Article: The Patient’s Playbook: A Recommended Read!